The typical Tabasco dress is a striking design with a traditional look. It has a long and wide skirt. The typical dress in a stamped flowers skirt, but there is also a gala version in dark blue poplin, and a version in white poplin. The dress is used in pageant shows in the state during the State Fair. Here you can see the beautiful girls competing for the crown. 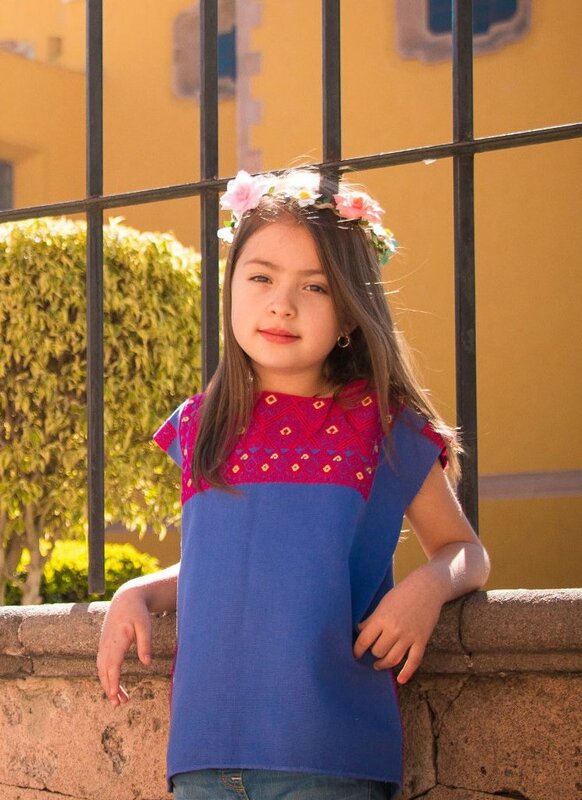 The dress is becoming one of the most popular and typical regional dresses of Mexico due to its simple and fashionable style. The blouse can be used off shoulder or with a round neck. It has a cord that makes it adjustable. It is adorned with a stripe of embroidered colorful flowers around the neck. There is also a stripe in each of the sleeves. As accessories, women use a red handkerchief tied on the right side and hanging over the skirt. They also use a colorful shawl tied to the waist. 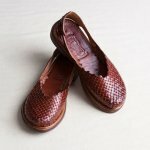 The shoes are usually black with small heels and closed at the toes. The hair is dressed backwards and making a bun. On the left side they wear a colorful ribbon and a flower; usually a tulip. On the right side they wear a few ornamental combs. Regarding jewelry, women use earrings and necklaces in gold color. The state celebrates during the year different festivals and fairs to promote the cultural heritage of the state with crafts, and folkloric dances. 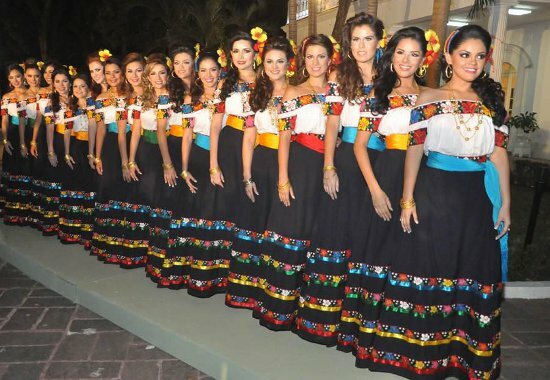 The dress as many other typical garments in Mexico are the result of the fusion of Spanish and the Indigenous culture. 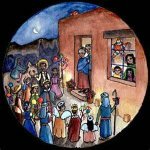 The priest from Spain adapted the Indigenous dances to the Catholic beliefs to influence the local people, and the outfits, music and dances followed the evolution of traditions. Today, there are religious and cultural celebrations across the region where many women commonly use the dress. The men use shirt and pants in white, shoes and belt in black, and a hat with a red handkerchief on the neck. The pants are made in denim and the shirt in poplin. The typical outfit for men is used in dances and celebrations, and it is based on the authentic Chontal custom which was used for many years for work on the countryside. The typical Tabasco dress is something that women of all ages like and wear and it is a representation of Mexican culture to the world.